Valentines Day is coming up, and you just might have some classic cinnamon heart candy on hand. But who wants the hassle of actually getting up to get some, wouldn't it be better to have them launched at you? 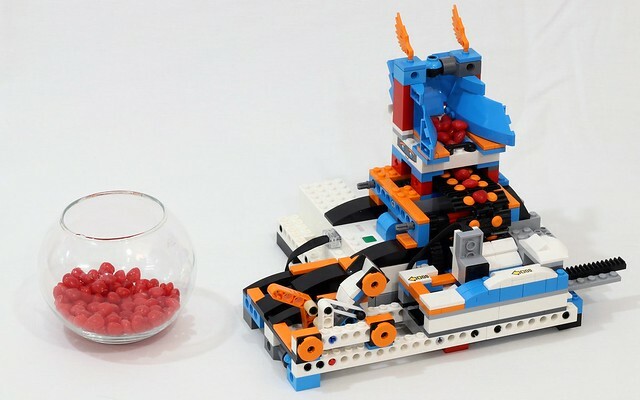 Builder and robotics guru JK Brickworks thought so, and whipped up this clever device with LEGO BOOST to do just that. Check out the video to see it in action.